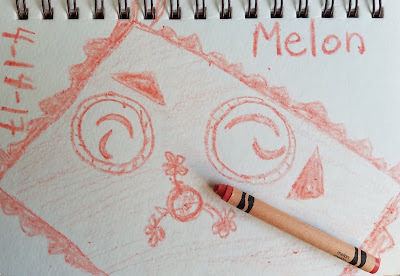 Students - When I drew the color Melon, of course it made me think about the fruit melon. And who better than Miss Johnson from April 6 to be a lover of all things melon. If you are Writing the Rainbow with me, perhaps your color for today might bring a line of a song to mind...or a small ordinary something you see in your days. 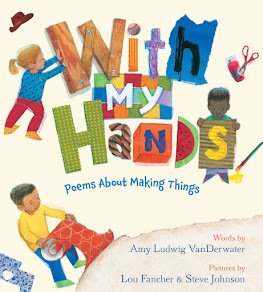 Don't miss the links to all kinds of Poetry Month goodness up there in my upper left sidebar. 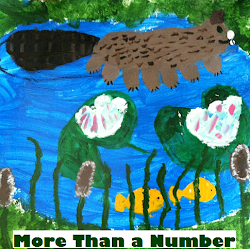 Happy fourteenth day of National Poetry Month! 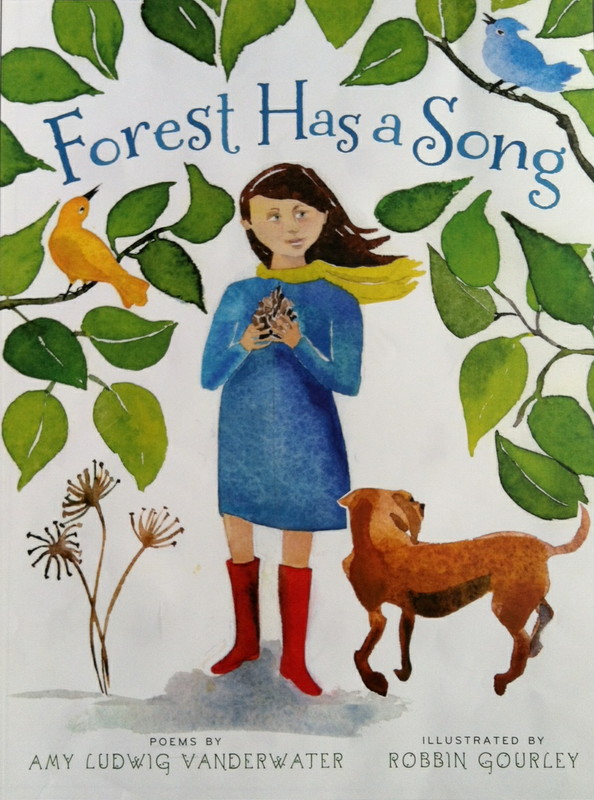 Doraine is hosting today's Poetry Friday roundup over at Dori Reads. 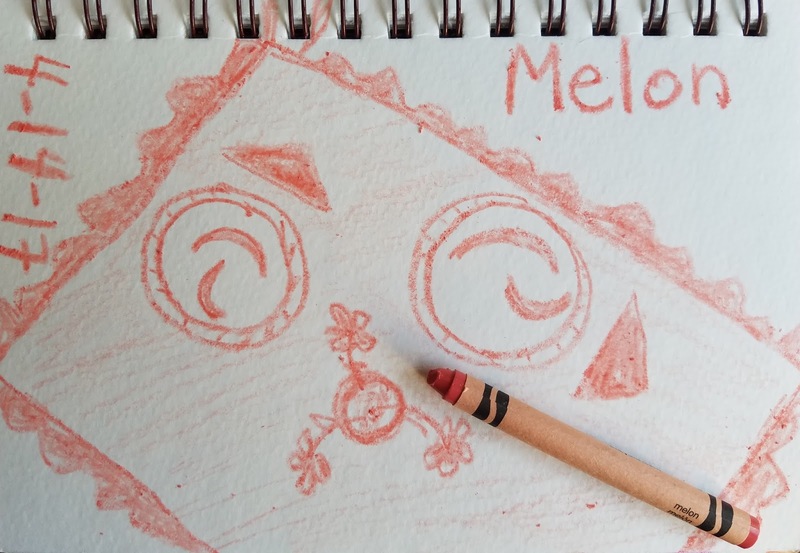 Students - When I drew Melon yesterday, I right away thought of melon fruits. And of course I thought about cantaloupe because of their beautiful orange insides. Who better than Miss Johnson from April 6 to celebrate fruits with my new fictional friend? She can grow some goodies on her fire escape, but not something as large as cantaloupes. Of COURSE she goes to the farmers market. Now, there was never a plan for a farmers market. Never a plan for a melon. Or even for Miss Johnson. Each of these were revealed through the crayon color of the day. Stay open. One never knows what's in there. Colors can take us anywhere. And if you'd like to join in with your own poem at our Writing the Rainbow Padlet, please do! It is growing and simply full of color and delight. And please don't miss the links to all kinds of Poetry Month goodness up there in my upper left sidebar. 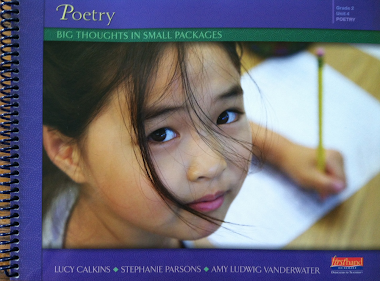 Happy fourteenth day of National Poetry Month! Wise Doraine is hosting today's Poetry Friday roundup over at Dori Reads. 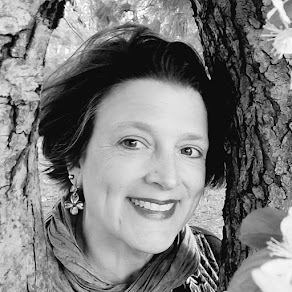 Visit her place this week to read her "unsettling" memory poem (it brought back a memory of my own) and to check out the giveaway, as well as to treat yourself to our roundup. I love that your poems are finding each other! Thanks for another colorful NPM treat! Good to hear of writing surprises and a narrative thread emerging. :) Yum, melons! Nice to see Miss Johnson in today's poem. I'm so glad to see Miss Johnson again. I loved her in April 6 (although I didn't comment), especially when she took your hand to show her veggies, exactly the thing that a retired school teacher would do, right? Melon smiles, I'm ready to see some of those this summer. Thanks for including your links to all the color poems in your post each time. Great advice: "Stay open. One never knows what's in there." I love that you surprise us with your poems and that you often surprise yourself, Amy. There is a smile in the melon slices, in many ways. Sweet. Everyone should have a Miss Johnson in their life. They are the very special people we always remember. Melon smiles! Such a delicious color. I can't wait for some melon smiles this summer! I love the writing surprises you are discovering and sharing along the way. I love how your poems are finding each other.